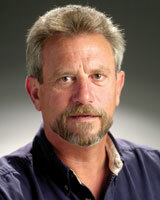 Frank Halbur joined Vintage Realty Company in 1996 as a Maintenance Supervisor for Champion Lake Apartments. Frank is currently the Director of Maintenance for Vintage Realty Company. He has 23 years experience in maintenance with multi-family. Frank is currently active in the Shreveport Bossier Apartment Association and served on the Board of Directors in 2005-2006. In 2004, Frank received an award given by the Shreveport Bossier Apartment Association for Maintenance Supervisor of the Year. In 2005, Frank received an award given by The Apartment Association of Louisiana, Inc. for CAMT of the Year. In 2012, Frank earned his CAMT (Certified Apartment Maintenance Technician) certification.